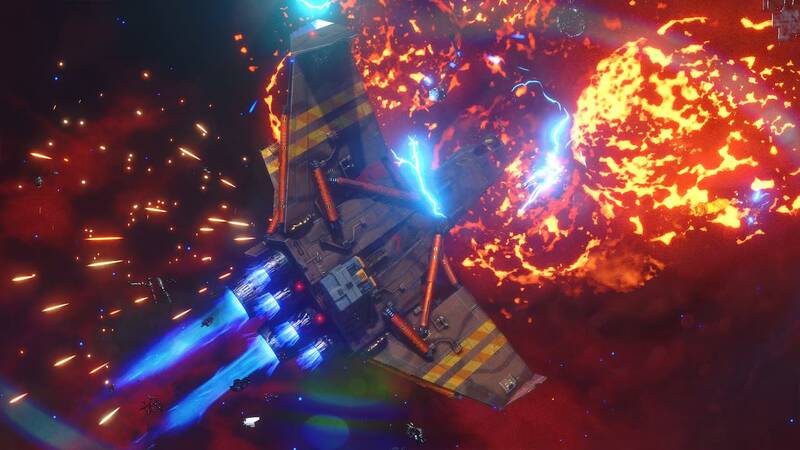 Double Damage Games has announced that Rebel Galaxy Outlaw will release on Nintendo Switch, a blue-collar space combat adventure that is a “sort-of-prequel” to Rebel Galaxy. Exploring events that take place 34 years before the original game, you play as Juno Markev – an outlaw and smuggler who went straight and chose to settle down. That is until fate deals her a card that drags her back into her old life. When an encounter in a shady watering hole goes bad, your ship is trashed and you fall into debt with an old friend who gives you a rustbucket. In your time with the game, the developer promises high-octane space combat, more than 20 hours of subspace radio, side activities like billiards and dice poker, sketchy characters to meet and even sketchier jobs to take on. “This has got to be the most ambitious game I’ve ever worked on,” explained Double Damage Games co-founder Travis Baldree. “We took what worked from the last title, and then went a little crazy. Rebel Galaxy Outlaw will release on the Nintendo eShop for Nintendo Switch worldwide in Q1 2019.